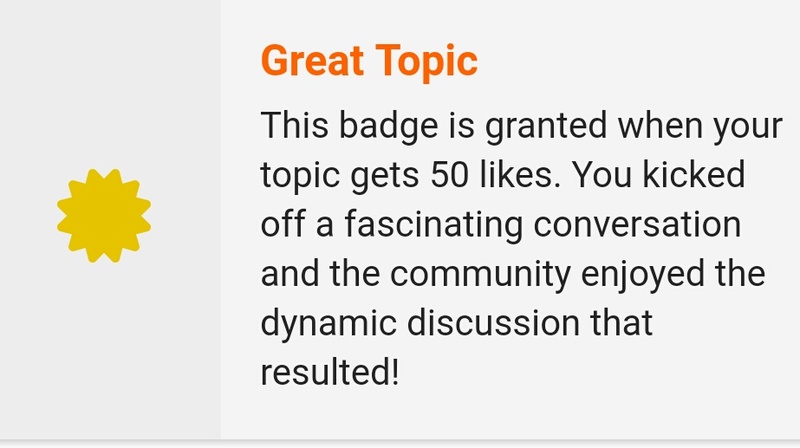 Yes, all bronze badges have 50 points each irrespective of the badge name. Sorry for the wrong information, we will guide our customer support on this. Also, we have added your missing 50 reward points to your account. If u don't get the badge just try it in pc. I also did that. I also have 1 missing badge reward. How to earn golden badges?? You've asked the million dollar Q! You get gold by just answering your Question! @vickybhale31 We are checking the same and if found missing, we will credit it in 2 days. One example of getting a gold Badge. In short #certified, #read guidelines, #first link badges are missing in my account. Please help on this issue.